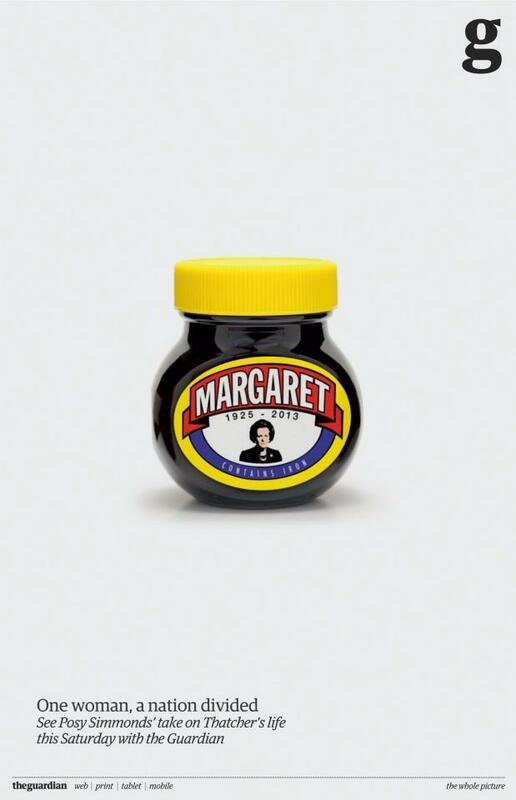 The Guardian and BBH have released a fantastic piece of reactive press advertising featuring a jar of Marmite and Margaret Thatcher. There’s a lovely bit of detail with the copy ‘contains iron’ on the base of the label. The end line ‘One woman, a nation divided’ is also very nicely put.